Produced to celebrate the anniversary, you will watch the entire movie in this six-session class. Each session will consist of watching approximately 15 minutes of the movie, and reviewing what you have seen, making Scriptural connections, and discussing how it applies to our lives today. 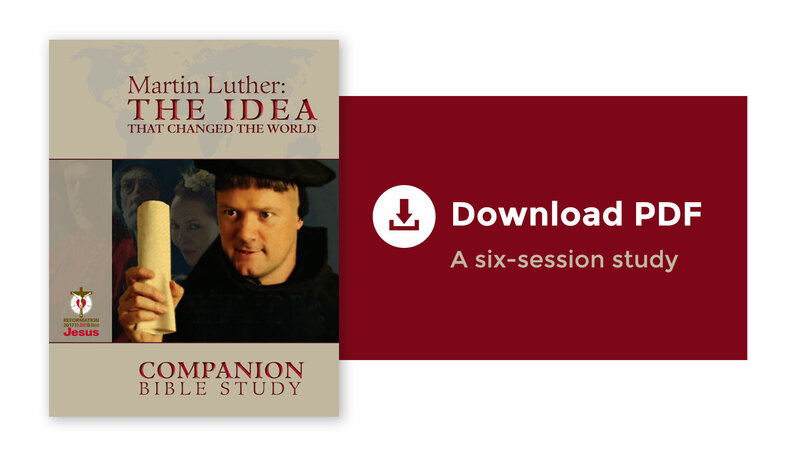 The Martin Luther: The Idea That Changed the World DVD will be available beginning November 21. Pre-order the DVD now at either PBS or Amazon for $19.95. For those who want the DVD before November 21, the “Study Package” from our distributor is available now. That includes the DVD, the LCMS study, some Powerpoints and a few other items. It’s more expensive though: $75 here.